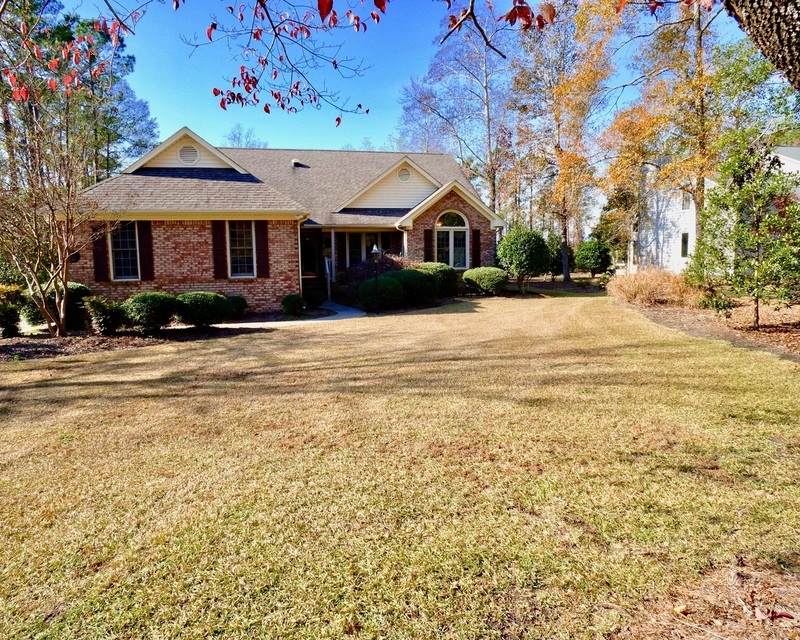 Nice curb appeal in this custom brick home located in the desirable Greenbrier Subdivision. No Storm Damage! Beautiful parquet floors in Foyer, DR & LR. Custom window valances throughout. Cathedral or vaulted ceilings in LR, master BR & bath, front BR, sunroom & screened in porch. 2 skylights in sunroom. Relaxing master suite w/ 2 closets. Bath features garden tub, separate shower, high vanities & skylight. Spacious Kit w/ granite countertops, large pantry, beautiful cabinets, center Island & dinette w/plenty of windows & light. Well manicured yard w/ wood deck and large storage shed. Quiet street in one of the areas prettiest neighborhoods. Well maintained. Carrier Heat Pump 7/2015. New hot water heater. Large laundry room with sink & cabinetry. Near all amenities! Just move in and enjoy!